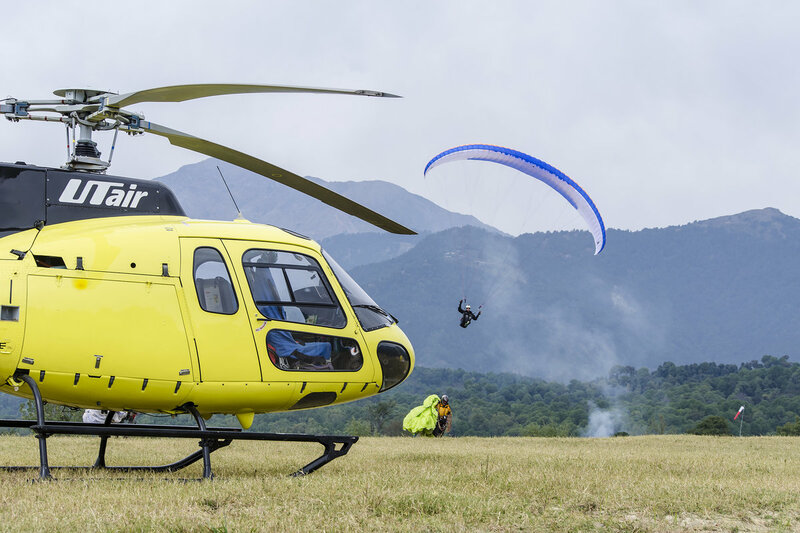 The Paragliding World Cup is a cross country flying competition for Paraglider pilots, organized by the PWCA. 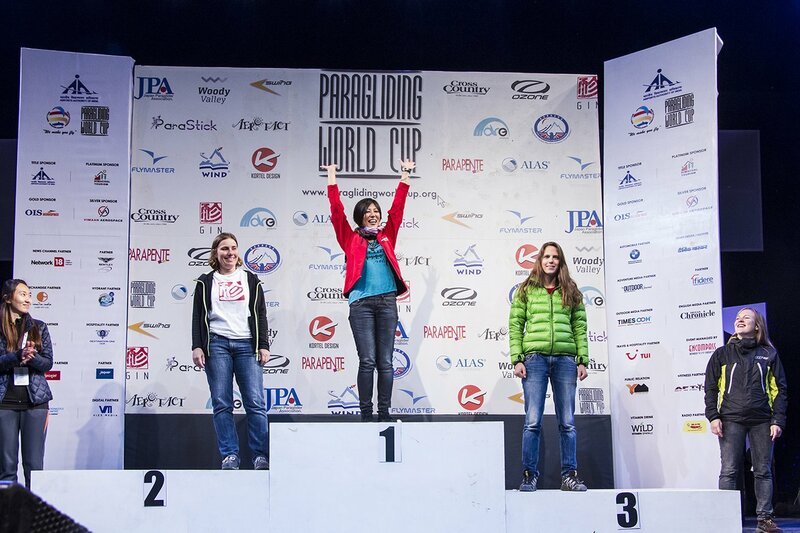 Each year, the Paragliding World Cup Tour visits 5-6 different locations worldwide. 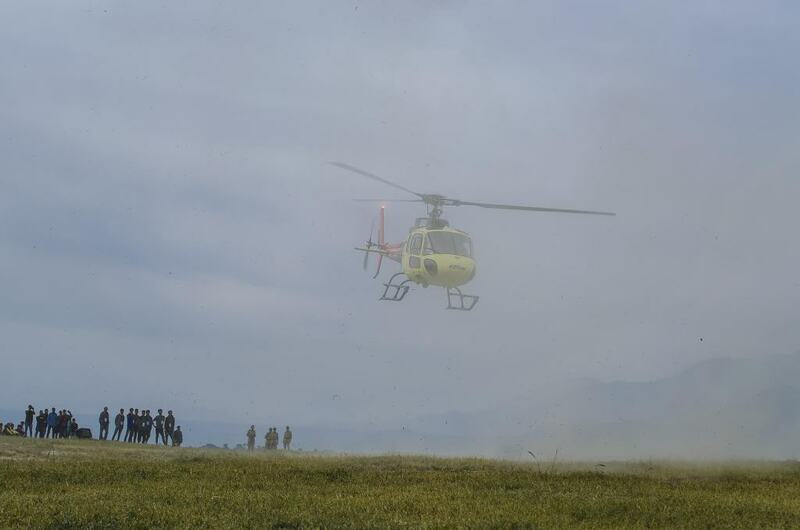 At each event several tasks are flown to establish the overall classification. The goal of each competition task is to fly round a predetermined course with a start, some turn points (usually 4-6) and a finish line. Slightly simplified, the winner is the fastest pilot round the course, or the pilot who flew furthest if no one completes the course. Pilots carry a GPS receiver to record their flight track, which is afterwards used to verify that they correctly followed the course and determine timings. Since 2010, there is one event at the end of every year called "PWC Superfinal". The best pilots selected from the events all over the year compete to select the overall winner of the year. Before 2010 the total winner was determined by adding the results of all worldcups of the year. The Paragliding World Cup (2015) kicked off at Bir-Billing in India on October 23rd. The Airports Authority of India (AAI), a public sector body that overlooks India’s civil aviation infrastructure, was the main sponsor of the prestigious competition. The opening ceremony was held at Sherbaling Monastery, one of Asia’s largest monasteries. 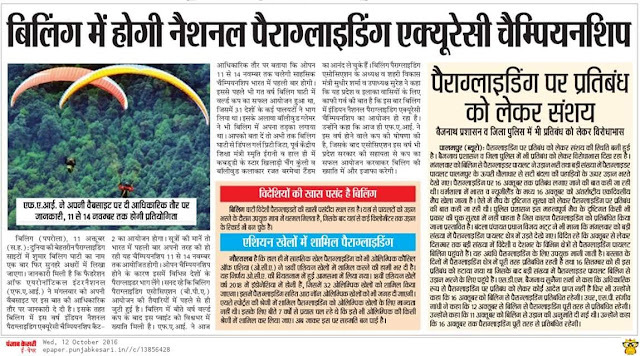 Bir was deemed fit for organising the World Cup by PWCA (Paragliding World Cup Association) after successfully conducting the pre-World Cup in 2013. The PWCA president said, “The World Cup is a big project. We have the best pilots in the world competing here. We (PWCA) have conducted many pre-World Cup events in Bir-Billing. After positive feedback from pilots around the world, we decided to hold the World Cup here. Top-ranking pilots from around the world participated in the event, like Julien Wirtz of France, who has been ranked World No. 1, Vidic Jurij of Slovenia, Torsten Siegel of Germany, Michael Kuffer of Switzerland and Xevi Bonnet Dalmau of Spain. Maxime Pinot of France, winner of the 2014 Super Cup in Turkey, and the current world champion was one of the main competitors at the event. The Indian challenge was led by one of the most experienced pilots, Ajay Kumar. The world’s best pilots competed against each other till October 30th, in daily allotted tasks. October 24th was kept as a practice day for the pilots and the landing site was the epicenter of the event. Acro paragliders kept the crowds hooked for hours everyday with hair-raising stunts. 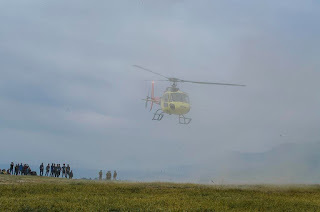 The first two task days of the competition (24th and 25th October) were cancelled since the weather conditions in the Bir-Billing valley were not apt for cross-country flying because of a fair amount of moisture in the upper atmosphere of the valley being pushed over by a jet-stream. The next five days saw the best pilots in the world race against each other in different tasks set by a dedicated committee. The task course per day was an average of 95-100 km with many technical climbs and turns around the valley. The task type was a race to a goal everyday and the pilots were scored based on their timing. 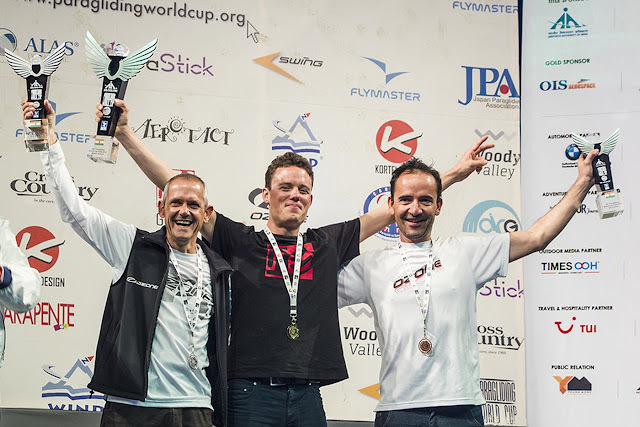 After assessing the cumulative scores of each task on final day (31 October) of the world cup tour saw Gin Gliders sponsored Swiss athlete Michael Küffer emerge as the overall winner in the open category, with a total of 3,265 points. Spain’s Xevi Bonet Dalmau stood second with 3,257 points and France’s Julien Wirtz third with 3,254 points. The current world champion, Maxime Pinot from France, was fourth with 3,245 points, just 20 points behind the first one. In the women’s category, Japan’s Yuki Sato was declared the overall winner with 2,425 points, followed by Petra Slivova from Czech Republic with 2,173 points and Yael Margelisch from Switzerland with 1,907 points. In the team category, South Korea-based manufacturer Gin Gliders won with 89 points. Overall winner Michael Küffer said, It was an exciting week of flying. The competition was tough but I tried to be consistent throughout. I am really happy as this is my first world cup win. The closing event was a grand affair with a massive stage set-up and Bollywood singer Sukhwinder Singh crooning for a gathering of over 5000 spectators. 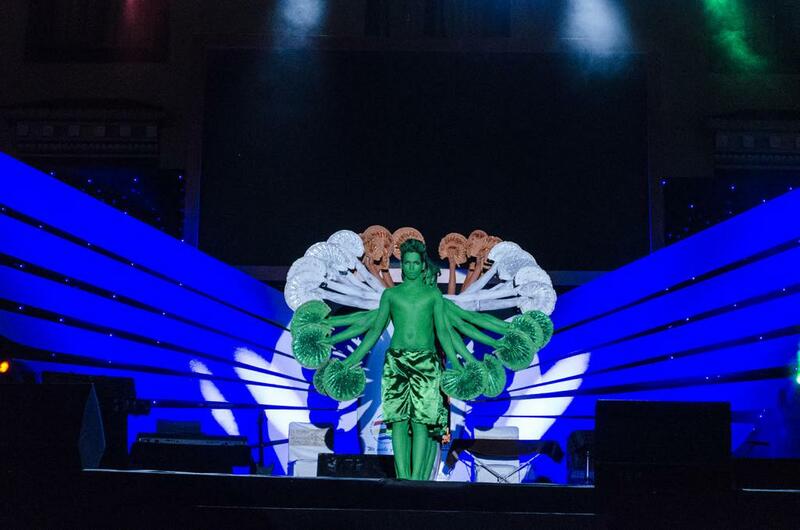 While the opening ceremony was a spectacle on the ground and held in the Buddhist monastery, the closing event of the fixture involved an aerial act. 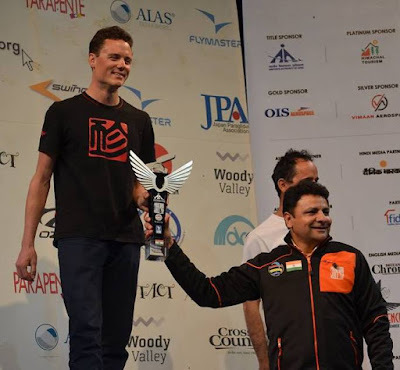 An artist holding the AAI PWC 2015 trophy was suspended from a helium balloon and was pulled to the ground to hand over the prize to the main organizer. 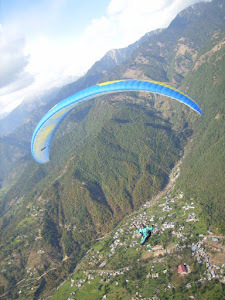 Himachal Pradesh Tourism | Hill station | Bir Billing | Paragliding Sports | H.P. What do you know about Paragliding? 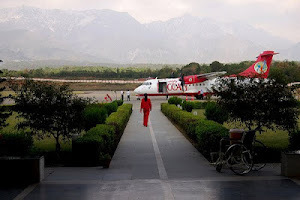 "Ways to reach Bir Billing"
The best and nearest airport from Bir is Kangra(Gaggal Airport). Located at a distance of 50 km. from Bir. Many other airports provide regular flights are : Chandigarh 314 km, Jammu 260 km, Amritsar 260 km. The nearest railway station from Bir is Ahju. Located at a distance of 4 km. 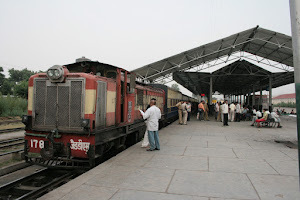 Many other Railway station provide regular Trains are : Paproloa 15 km, Palampur 30 km. You can take Train for Ahju station from Pathankot. The distance of Pathankot to Ahju station is near about 139 km. Eevery state of country is linked by roads. The Himachal Road Transport Corporation provide Bus service. Chandigarh, Delhi, Pathankot, Dehradoon, Jammu, Amritsar to Baijnath. Located at a distance of 14 km from BIR. BIR BILLING. Watermark theme. Powered by Blogger.